I want to take time to reflect on 2015 and say thank you to our wonderful clients. I think the true measure of success is the quality of people and relationships you build through the years. We are grateful to be surrounded by such a wonderful network of clients and staff. Thank you all for heloping Webb & Brooker's dream stand the test of time. Webb & Brooker, Inc. & Bloom Real Estate Group LLC negotiated a five (5) year lease extension for Denny Moe's Superstar Barbershop in Harlem, NY. The sucessful negotiation allowed the tenant to stay at a location it has been for ten (10) years. 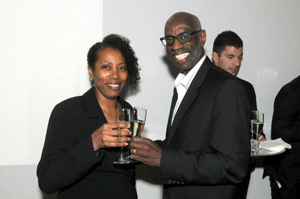 Greater Jamaica Development Corporation celebrated 2015 at the Prince George Ballroom in Manhattan, NY. The theme for the gala was "Jamaica Taking Off". Edward V. Piccinich, Executive Vice President of SL Green Realty Corp received the George M. Brooker Management Executive Award. We commend Mr. Piccinich for receiving this prestigious award named after our deceased founder. 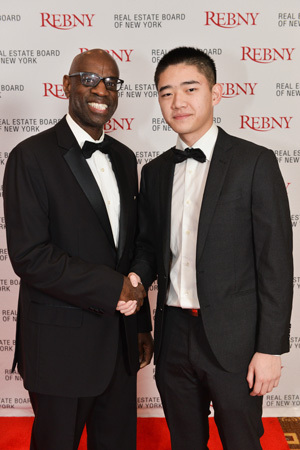 Our president Bernard Warren attended the REBNY Banquet with Lingming (Brandon) Kong of L.R. Capital Company, Hong Kong. L.R. Capital Group is a global investment and alternative asset manager with offices	in Hong Kong, China and North America.